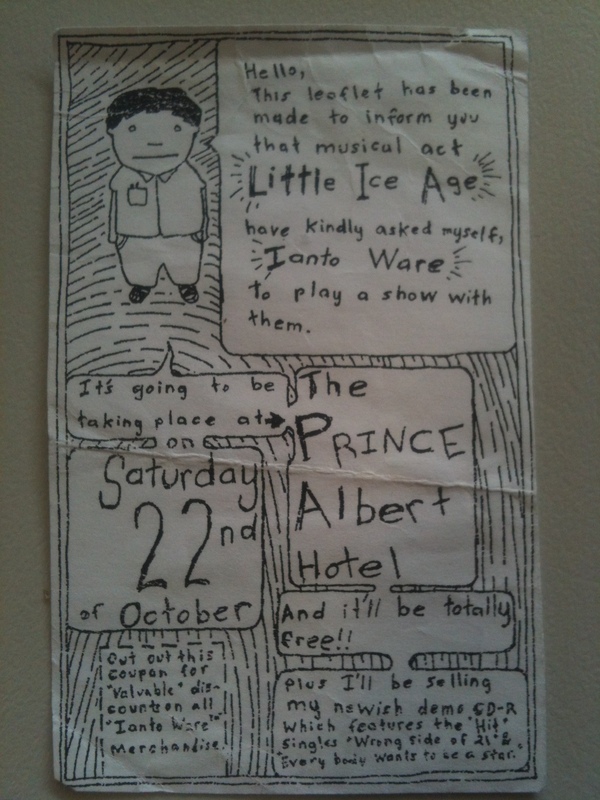 This is the third post in an ongoing series on the ephemera on the Adelaide music scene, 2001-2010 – essentially it is some old gig flyers that I’ve collected. I’ve been photographing 10 at a time (see other posts here and here) to record a discreet moment in the history of the Adelaide music scene, in a particular subculture. Although in Adelaide, many people would argue that there was considerable subcultural crossover – punk, indie, metal, electronica, goth, folk – because there weren’t enough venues/bands to sustain completely independent subcultures. So here goes with another ten. 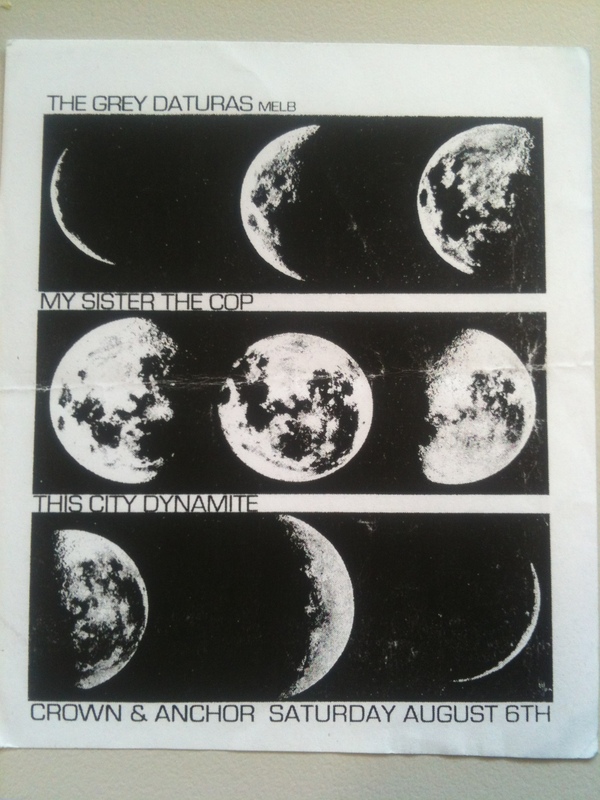 The Grey Daturas were a guitar/noise band from Melbourne. I remember being blown away by the volume of them, especially at the usually noisy Cranker. This gig shows the origins of some quite successful bands. Henry Wagons pops up on Spicks n Specks and Rockwiz, while Wolf & Cub (in some incarnation) signed with 4AD Records. But I think Matt Banham’s (No Through Road) tweets are the best. Dr Ianto Ware is now some high-flying government agency type, promoting Australian music around the place. The Prince Albert was a great venue for music and football watching. I remember seeing Italy kick Australia out of the World Cup in 2006 at the PA. 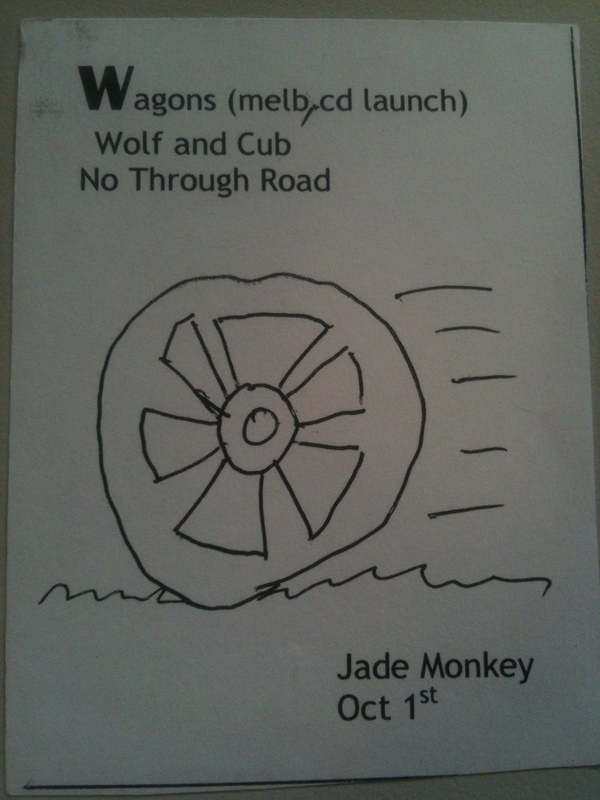 The Jade Monkey has now been knocked down to make way for some hotel. We won’t see gigs like this anymore. 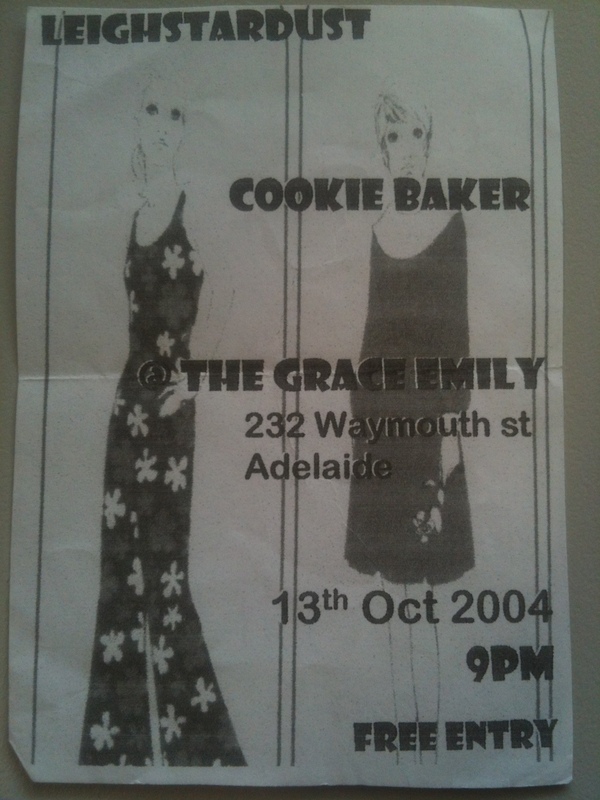 The Grace Emily was a good venue for promoting female-led gigs and this may have been part of a series of gigs put on by Cookie Baker to promote female musicians in Adelaide. Leigh Stardust was awesome – great music and even better on-stage banter. She should really come out of retirement. 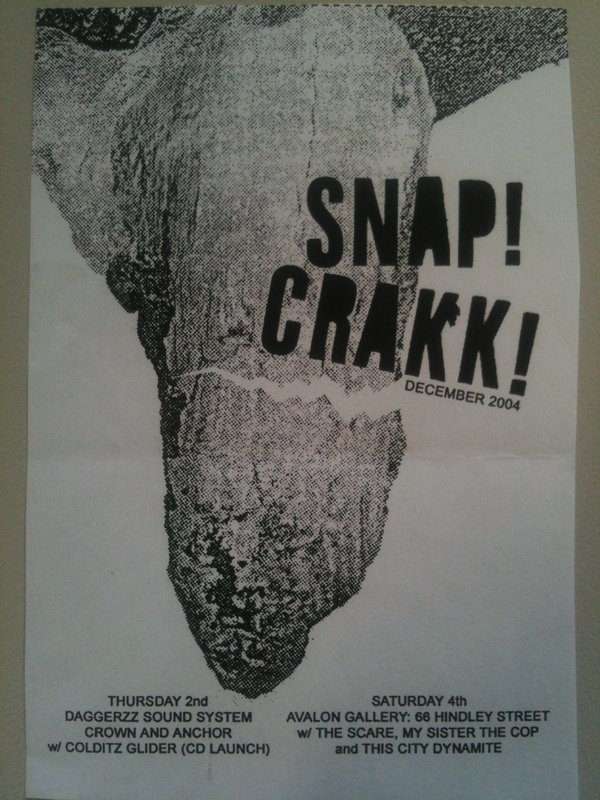 This was one of the few punk shows that played at Urtext. 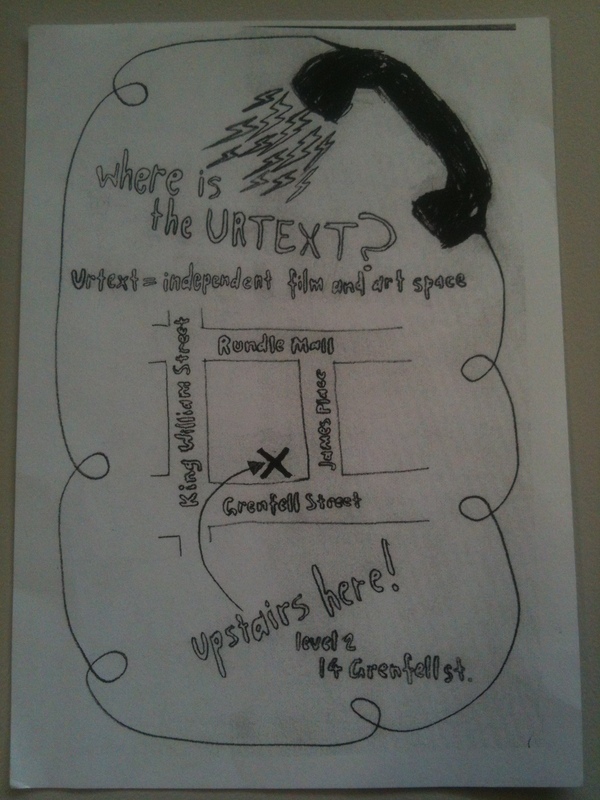 As I mentioned in a previous post, Urtext was notoriously difficult to find, so flyers sometimes had directions to the venue on the back (see below). Snap! Crakk! 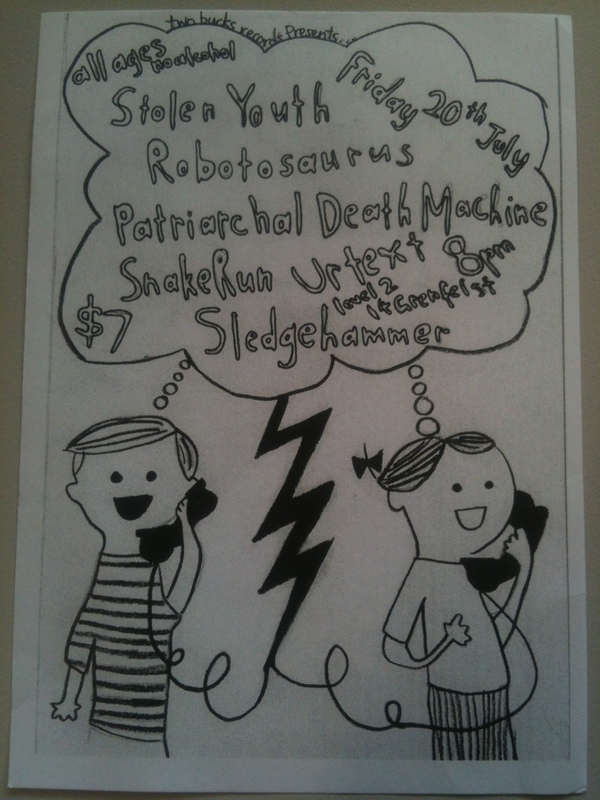 were ex-Adelaideans making electro-indie-pop in Melbourne, although they were more humorous when they were Snap! Crack! Le Pop! Daggerzz Sound System was a monthly night at the Cranker run by Tom and Brett from Love Like… Electrocution. It made for a great Thursday night. This was the first gig I ever organised and was one of the few times that the Lizard Lounge was fully occupied. A great gig, although Uberstomp and Sound of Mercy Killing didn’t play. Nick and I were The Hated Salford Ensemble (taken from the name given to the synthesiser Johnny Marr used on The Queen is Dead), and we also played several songs with Ringo Stalin and the drummer from The Paddington Bear Affair for an encore of ‘Every Day is Like Sunday’ and ‘The Last of the Famous International Playboys’. 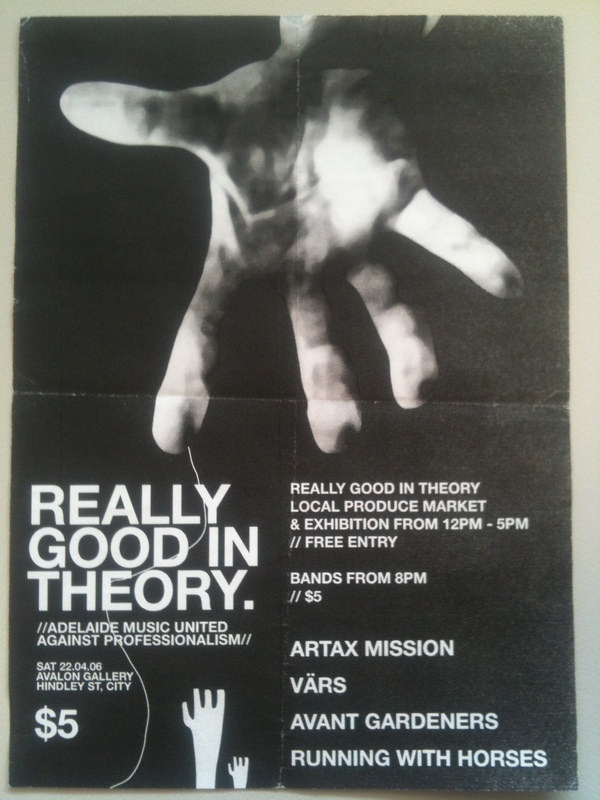 Karl’s event that combined the hawking of DIY wares during the day with great bands at night. Avant Gardeners were unusual in that they used an overhead projector and ink as part of their backdrop, which made for a visual, as well as aural, experience. 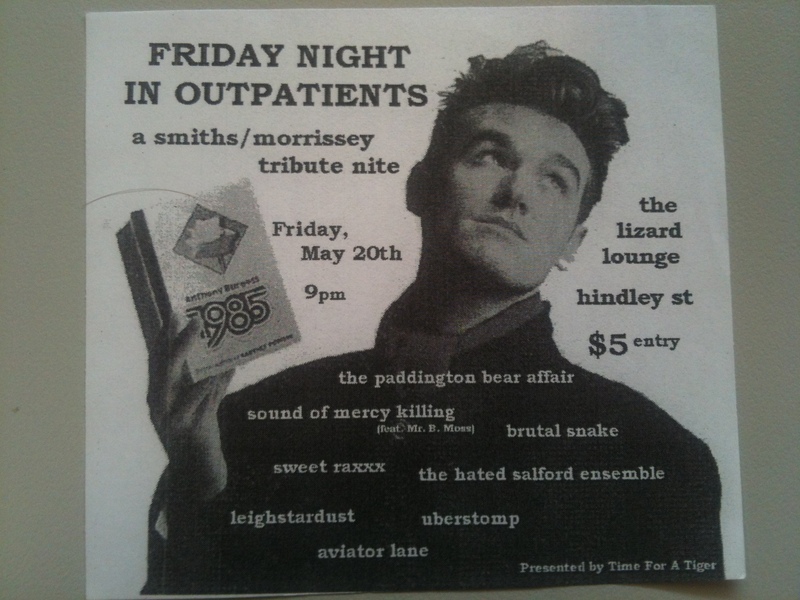 I remember Karl sold me a rare green vinyl version of PiL’s first record for $15 at this event. 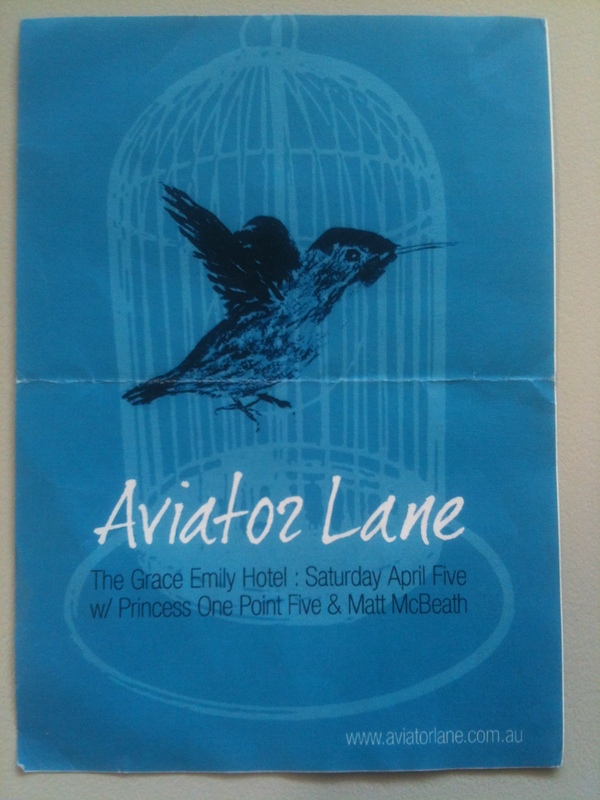 I’m not sure what incarnation of Aviator Lane this was – Mike played a solo performer, as well as in a three/four-piece band – but Princess One Point Five was a pretty good act to be playing with. If you have any flyers that you’d like to see preserved on the internet, or if you attended (or played at) any of these gigs, please get in contact or comment below. Despite the continued call for co-operation with the Labour left in The British Road to Socialism and the importance placed upon the ‘Broad Left’ strategy in the trade union movement, the Communist Party’s policies on immigration were distinct from those of the Labour Party, which accepted (and indeed strengthened) immigration controls and those of the Trade Union Congress (TUC), which followed the Labour Party’s policy between 1962 and 1973. Within the far left, the CPGB criticised the position of the IS/SWP and the IMG, who favoured no immigration controls, which the Communist Party dismissed as ‘foolish’ and ‘out of step with reality’. 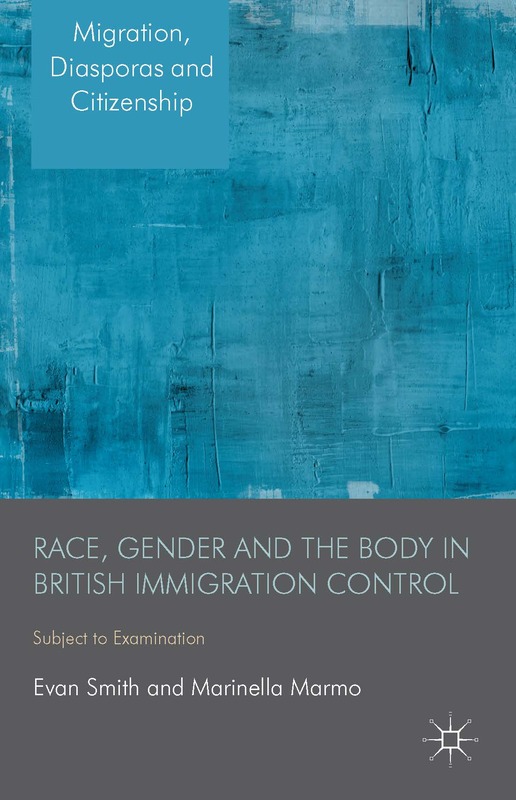 [iii] Another important factor was the attitudes of Britain’s migrant population, who experienced the racial bias of the immigration controls firsthand. The CPGB therefore held a distinct and precarious position. On one hand, it was critical of the Labour Party and the TUC, two of its most important political allies and potentially influential in fighting racism within the labour movement. On the other, its acceptance of the concept of immigration controls, if void of racial bias, fostered the possibility of alienating sections of the migrant communities, who faced the reality of racial discrimination through immigration controls. I am fairly certain that the CPGB did not revise their position in the 1980s. Alongside the SWP, the International Marxist Group, I believe, had a similar position (although I’m waiting to hear back from someone to confirm this). I haven’t been able to ascertain what the position of Militant was in the 1970s and 1980s, but I suppose it would be similar to the position put forward by the Socialist Party nowadays. 69. Of course, we have to stand in defence of the most oppressed sections of the working class, including migrant workers and other immigrants. We staunchly oppose racism. We defend the right to asylum, and argue for the end of repressive measures like detention centres. At the same time, given the outlook of the majority of the working class, we cannot put forward a bald [sic] slogan of ‘open borders’ or ‘no immigration controls’, which would be a barrier to convincing workers of a socialist programme, both on immigration and other issues. Such a demand would alienate the vast majority of the working class, including many more long-standing immigrants, who would see it as a threat to jobs, wages and living conditions. Nor can we make the mistake of dismissing workers who express concerns about immigration as ‘racists’. While racism and nationalism are clearly elements in anti-immigrant feeling, there are many consciously anti-racist workers who are concerned about the scale of immigration. • Repeal all anti-trade union, anti-democratic and racist immigration laws with full employment rights and trade union participation for migrant workers. The Weekly Worker CPGB has published letters on this subject in recent years, but I haven’t been able to find out what their position is. I think it is a debate that the British left have not really had in recent years as the prospect of immigration controls being abolished, or even relaxed, seems so remote. But it is an issue that highlights the tensions in trying to connect the traditionally protectionist attitudes of the trade union movement with the attitudes of those involved in anti-racist and pro-migrant campaigns. As Liza Schuster wrote in 2003, we need to have this debate out there. 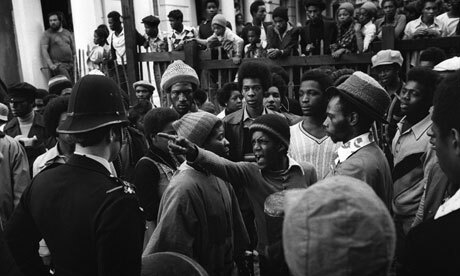 I’m just writing a quick post to let readers of this blog know that my 2010 article on black youth rebellion in the UK in the 1970s and 1980s has reached 1000 downloads via the website academia.edu. Thanks to everyone who has downloaded the article. If you haven’t seen it already, you can find it here. For those interested, the full bibliographic reference is: Evan Smith, ‘Conflicting Narratives of Black Youth Rebellion in Modern Britain’, Ethnicity and Race in a Changing World: A Review Journal, 1/3, July 2010, pp. 16-31. Other issues of Ethnicity and Race in a Changing World (an open access journal via Manchester University Press) can be found here. 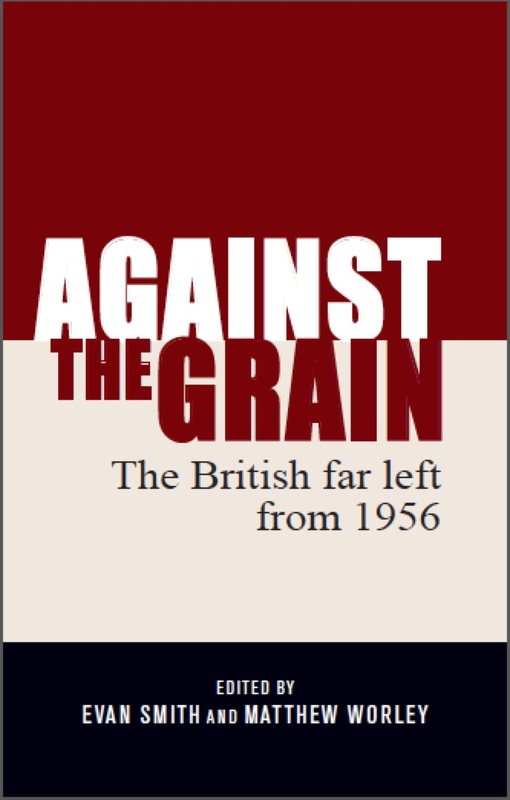 This article explores the hostility directed by the Communist Party of Great Britain (CPGB) towards Polish workers in Britain in the late 1940s and early 1950s, while at the same time, the CPGB promoted tolerance of and friendship with West Indian migrants who entered the UK to fill the country’s labour shortage. Previous explanations of the CPGB’s hostility, such as the Party’s subservience to the Soviet Union, the general xenophobia of the British labour movement or that the Polish workers actually represented a quasi-fascist officer class, are inadequate by themselves to explain the actions of the Party, with elements of all three factors in the Party’s conduct. 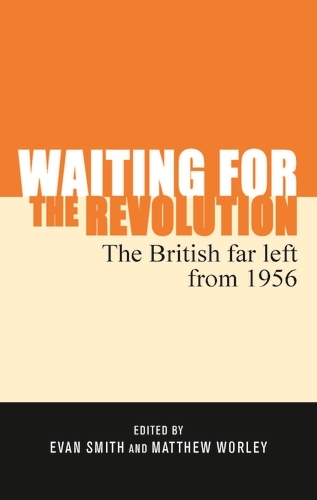 This article argues that the motives for anti-immigration attitudes amongst the British labour movement and the left are complex and while condemned, need to be understood. The behaviour of the CPGB is an unpleasant episode in the Party’s history and should be remembered in contrast with the Party’s more positive anti-racist campaigning in the post-war era. If you’re interested in reading a draft, please send me an email. Thanks in advance! Anna Chen, prompted by the exclusion of BME workers from Ken Loach’s film The Spirit of ’45, has written in The Guardian that the left seems to be whitewashing the existence of BME from working class history. Chen is right when she argues that the traditional image of the British working class is still white and male and that ‘many on the left would sell us a mythologised, all-white Little England’; however at the same time, when she adds ‘it is worth remembering that the British working class has a proud tradition of rejecting racism’, I would say that this is true from the mid-1970s onwards, but the story of the relationship between Britain’s BME communities and the left and the organised labour movement is much more problematic for most of the 20th century. 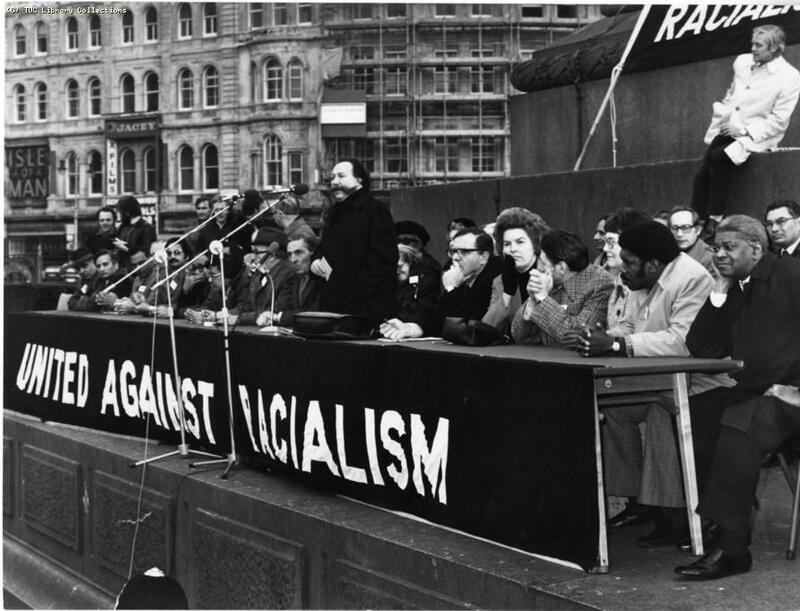 The left often emphasises its anti-racist credentials and could be accused on whitewashing its treatment of BME workers prior to the 1970s – it might be the case that if BME workers are being excluded from working class history, it is because the left are willing to deal with the less savoury aspects of their interaction with Britain’s migrant communities. In a 2008 article, Neville Kirk, looking at the inter-war and early post-war periods, argued that the British labour movement ‘adopted a predominantly positive attitude to the issues of immigration and “race”’ and that the scholarly literature has ‘taken far too little account of these expressions of British anti-racism up to the late 1950s’. But for all of the anti-racist rhetoric of the labour movement during this time, the trade unions and its rank-and-file workers were also involved in conflicts with migrant workers. Laura Tabili has shown that white workers in Cardiff and Liverpool, as well as the National Union of Seamen, opposed black and Asian workers being used in British ports and campaigned to controls on their employment in the 1920s. In the early post-war period, the TUC, as well as individual trade unions and the Communist Party, opposed the resettlement and employment of Poles in Britain (particularly in the mining industry). In 1946, the Communist Party produced a leaflet titled ‘No British Jobs for Fascist Poles’ and declared that there was ‘no reason why British jobs should be given to these Poles’. Some, such as Paul Foot and Paul Flewers, have argued that this hostility towards the Poles stemmed from the Stalinism of the CPGB, viewing the Poles in Britain as traitors fleeing the socialist society being formed in Eastern Europe, but doesn’t explain why the TUC and several other trade unions also opposed Polish workers. At the TUC Congress in 1946, the General Council demanded that ‘no Poles should be employed in any grade in any industry where suitable British labour is available’, with a bloc majority of 884,000 voting in favour of this demand. And it wasn’t just hostility towards the Poles. The CPGB’s Executive Committee member and future leader of the National Union of Mineworkers Arthur Horner declared that his Party ‘would not allow the importation of foreign – Polish, Italian or even Irish – labour’. The TUC itself was, as Beryl Radin described it in 1966, ‘muddled’ in regards to its policies on immigration and ‘race’. Barry Munslow wrote that the general policy of the TUC was to ‘play down the subject, stress the need for immigrants to integrate and oppose special provisions’, while Robert Miles and Annie Phizacklea noted that in the 1950s, the TUC expressed the need for immigration controls, writing that while Congress opposed, on paper, racial discrimination, their position was that ‘immigrants were a problem and their arrival in Britain should consequently be controlled’. Miles and Phizacklea further pointed out that it was until 1973 that a call for the repeal of immigration control legislation was voted in favour for by the TUC General Congress. During the 1960s, the TUC also pushed for colour-blind integration of the workforce and reacted unfavourably to proposed anti-discrimination legislation in employment, such as the sections of employment in the 1968 Race Relations Act. Miles and Phizacklea claim that this reaction ‘at times verged on outright opposition’ and the TUC pushed instead for voluntary conciliation rather than legislative measures. In his 1986 book, Shattering Illusions, West Indian Communist Party member and trade union activist Trevor Carter (in collaboration with Jean Coussins) wrote that this lack of support for the 1968 Act ‘cannot be put down simply to traditional… union resistance to workplace matters being resolved through the intervention of the law’, but the failure of the trade unions to take the issue of racism seriously. Carter described this position as an issue of putting ‘class before race’ and that issues of racism were subsumed by the wider struggles of industrial militancy and collective bargaining. 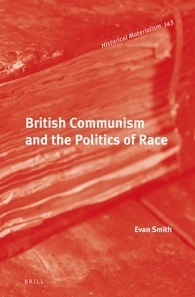 As I have argued here, the Communist Party was probably the progressively anti-racist organisation in the British labour movement from the 1940s to the mid-1960s, but even within this context, BME Party members were, more often than not, sidelined into work for the International Department and rarely included in any decisions made on the Party’s anti-racist policies. 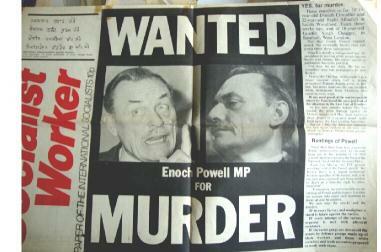 But by the late 1960s, the CPGB was unable to take a decisive lead within the labour movement against racism, as shown in the timid approach taken towards the trade unionists that struck in London in favour of Enoch Powell in April 1968 (more of this here and here). 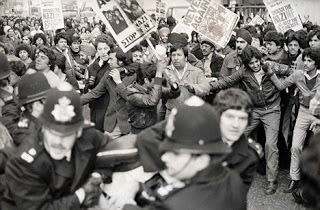 Even into the early 1970s, trade unions were unwilling to tackle racism and refused to assist (and even collaborated with employers in) two strikes involving South Asian workers, the Mansfield Hosiery Mills strike in 1972 and the strike at Imperial Typewriters in Leicester in 1974. The striking workers in both cases felt abandoned by the left and looked to the South Asian communities for material and political support. It was really not until the Grunwick strike of 1976-78 that the aims of BME workers and that of the left and the labour movement converged. But even within the struggle, some BME workers felt that the white trade unionists were there to support the principle of trade union representation, rather than countering the racial discrimination faced at Grunwick. Writing the editorial for Race & Class, A. Sivanandan wrote that the strike was ‘no longer about racism’, but now about the ‘legality… of the weapons that unions may use’ and argued that the structures and tactics of the trade union movement distorted the strike’s objectives, stating that ‘this meant… that instead of directly sabotaging the black workers’ struggle, the [trade union] leaders attempted to contain and incorporate it, clapping a procedure on their backs.’ The use of these procedures, Sivanandan claimed, ‘steered the black workers away from community based support’, which had been key to the strikes in 1972 and 1974. The white left tell us only the working class as a whole will be able to smash racism by overthrowing capitalism and setting up a socialist state. This maybe so, but in the meantime are we, as one of the most oppressed sections of the working class, to sit idly by in the face of mounting attacks. No! We must fight back against the cancerous growth of racism. My impression was always that the left was genuinely concerned to mobilise the black community, but into their political battles. They never had time to look at our immediate problems, so it became futile to refer to them. So blacks ended up in total isolation within the broad left because of the left’s basic dishonesty. So the relationship between BME workers and institutions of the British left and the labour movement are more difficult than popularly construed. It is true that the left has a proud anti-racist record in some regards, particularly the long history of the left’s involvement in the fight against fascism, but at other points, the left has ignored or downplayed the problems faced by BME people in Britain. EDITED TO ADD: Anna has posted her piece at her blog with links to other relevant pieces, including this post. In a previous post on the Ugandan Asian crisis of 1972-74, I showed that the term ‘queue jumper’ had a far longer history than its recent use in regards to asylum seekers and refugees. Looking through my files, I came across more on how the UK Government used the terms ‘queue jumper’ and ‘gatecrasher’ to refer to specific categories of migrants, although both terms have now entered the popular anti-immigrant discourse. 1. 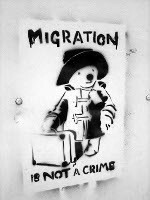 The Commonwealth Immigrants Act 1968 extended immigration control to cover those citizens of the UK and Colonies who had no substantial connexion [sic] with the UK. The Immigration Act 1971 continued this control, substituting for the ‘close connection’ formula the concept of ‘patriality’ (right of abode). Without prejudice to the right of every UK citizen to enter the UK for settlement, the Act enables the Home Secretary to control the rate of their entry. This he does by the allocation of special vouchers to the UKPH heads of family. Each voucher entitles the head of family to bring his wife and dependant children under the age of 18 to the UK. 2. These restrictions on the rate of entry have prompted many East African Asians to seek to enter the UK for settlement without awaiting their turn for a special voucher. This practice of ‘queue jumping’ originated in East Africa and later spread to India. In March 1972 a confidential understanding was reached with the Indian Government whereby the special voucher allocation was increased from 3,000 to 3,500 to meet the needs of UKPH in India and the Indian Government would permit the re-entry into India of UKPH queue jumpers from that country who were returned there by UK immigration authorities. 1. 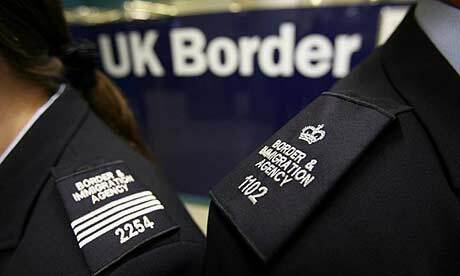 The term ‘gatecrashers’ is applied to persons other than UKPH queue-jumpers who seek to enter the UK overtly, without the documentation required by the Immigration Act 1971… Most of these persons are Ugandan citizens or persons who find themselves effectively stateless following their expulsion from Uganda..
3. Many Ugandan asian citizens and stateless persons went to India (where Ugandan citizens are not subject to visa control) at the time of the expulsion from Uganda and there has since been a steady and substantial flow of such persons presenting themselves at UK ports of entry and seeking to gain admittance for settlement. These documents show that the terms ‘queue jumpers’ and ‘gatecrashers’ had specific meanings for the UK Government and referred specifically to the expelled Asians from east Africa in the mid-1970s. The term seems to disappear from government documents in the late 1970s (I haven’t found it in any documents from the early Thatcher era), but in recent years, the term ‘queue jumper’ has had a new life in anti-asylum seeker discourses in both the UK and Australia (although the term, I would argue, has more widespread usage in Australia nowadays). Has anyone else come across either of these terms being used in the UK or Australia in the 1970s? Last year, new requirements for spousal visas for non-EEA spouses were introduced. These put more stricter requirements on those applying to accompany or join their spouse in the UK, with the most evident rule change being the amount of money earned per annum by the UK-based spouse (now £18,600). Several articles have been written on the families potentially divided or placed into ‘exile’ by these rule changes, such as this by Richard Fabb. A story emerges from The Guardian today that original plans by the Tories intended to make the requirements even more severe. The interview itself can cause fresh problems… The purpose of the interview is to detect ‘discrepancies’ in family members’ accounts… In other words, there is an assumption that the family is lying and questioning will reveal this. From many of the cases raised by the Joint Council for the Welfare of Immigrants (for example) and other NGOs, it seems that the divisive nature of the immigration control system continues to exist. One of the concerns raised from doing this research is that the immigration control system seemed to unnecessarily strict in the past, but nowadays, after 40 years of ever tightening legislation, the system seems almost impenetrable. Coincidentally during the last week, I found a document in the Runnymede Trust archive files that is an internal circular for the British Embassy in Islamabad, Pakistan that outlined the requirements for a spousal visa in 1976 (‘Wives Wishing to Join or Accompany Husbands for Settlement in the United Kingdom’, May 1976, RC/RF/1/06, Runnymede Trust archive, Black Cultural Archives, London) . I thought it would be interesting to contrast this document with the current requirements set forth by the UKBA. (a) A valid passport issued to the applicant. (b) Evidence that the husband is settled in the United Kingdom in the form of a declaration of sponsorship giving the husband’s full name, his address, details of his employment, passport details and the date of his entry into the United Kingdom. 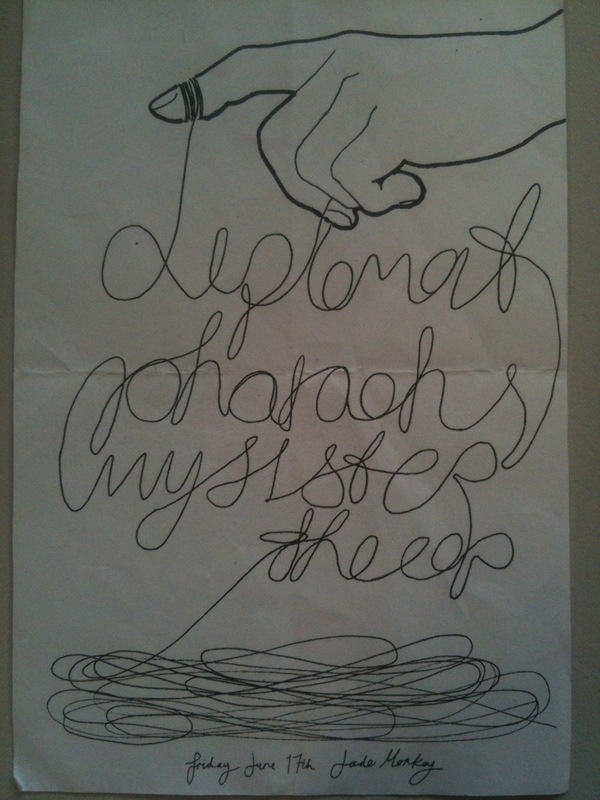 (d) Any recent family correspondence relating to the applicant proposed settlement in the United Kingdom. (e) Two passport size photographs of the applicant. (f) Attested photocopies of the sponsor’s passport. If the sponsor holds a British Passport photocopies of pages 1 to 6 inclusive and all other pages bearing frontier stamps should be produced. If the sponsor holds a [non-UK] passport complete photocopies of all passports in his possession should be produced. All copies should be attested on each page by a responsible person in the United Kingdom (a Nortary Public, Commissioner of Oaths, or Solicitor) as being true copies of the original documents. (g) Evidence that the husband is willing and able to support and accommodate his wife. (Paragraph (g) does not apply to cases where the sponsor was, on 1 January, 1973, a Commonwealth Citizen settled in the United Kingdom). if you are in the UK and want to extend your leave or apply for settlement in the UK you will need to meet the suitability requirement. evidence that you meet the financial requirement. It is unsurprising to see that the bureaucratic requirements needed to be fulfilled have grown exponentially over the last 40 years as the legislation regarding who can enter the country has grown tighter and tighter. The fear by the authorities that people are exploiting the spousal visa system far outweighs the numbers of people ‘caught’ doing so and disproportionately places an unnecessary bureaucratic burden upon those wishing to accompany/join their families in the UK. 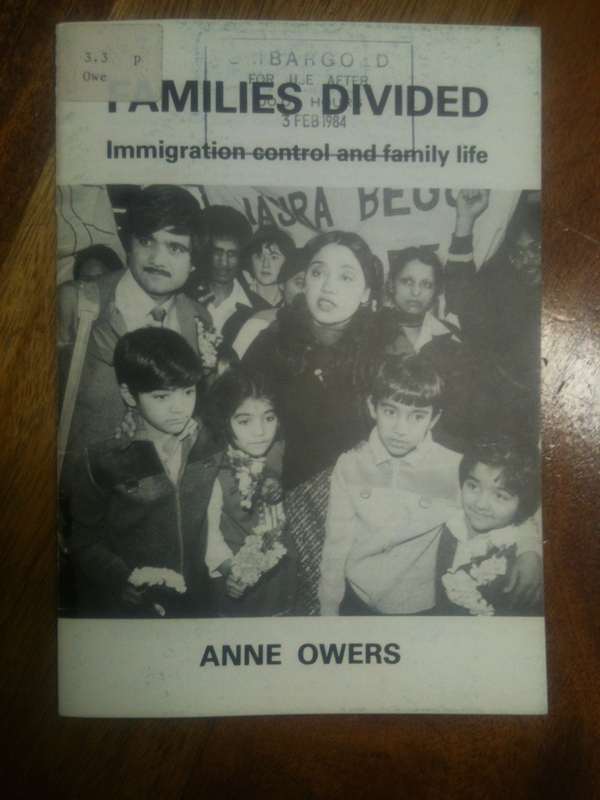 The result of British immigration control policy is the 1970s-80s, as it is now, is families divided.